We have all available Outcast Miniatures here on the Blue Table Painting web store. You can find never before seen trade ins and new in box models. Build your perfect army today. 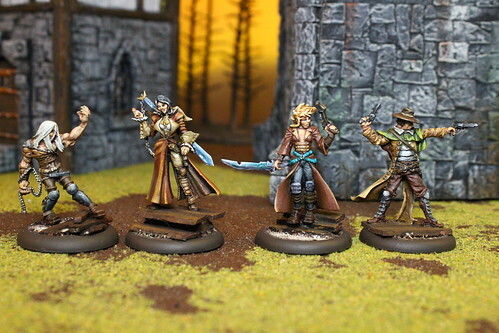 The Outcasts are a unique faction in the world of Malifaux. They have been rejected and skorned by politicals, other faction, or have decided they want their own agenda. Some are petty thieves, and others have notible powers. Either way they form minor groups that band together to defy the government and those who are the most powerful.